In my ongoing dialogue with Creation, there is a seed of life sprinkled into all I am, all my mind ponders, the things my hands have the privilege to make. Leaving behind the culture of death in the deepest furrows of that which does not last, I seek instead to regenerate in my own beautiful way, my own time, and with the mission of illuminating these things within others. Jill McLean is a Southern California native, born in Los Angeles and raised in the beach city of Corona del Mar. Her childhood was creative, including 12 years of piano and extensive travel which filled her with memories that now inform her paintings. Experiencing a huge range of cultures as a young girl opened her heart and mind to understanding life and people in a deep way. After garnering a Bachelor of Science degree in Fine Art at University of Oregon, her creative pursuits switched tracks to the visual communications industry, where she owned an independent design studio for over 27 years. 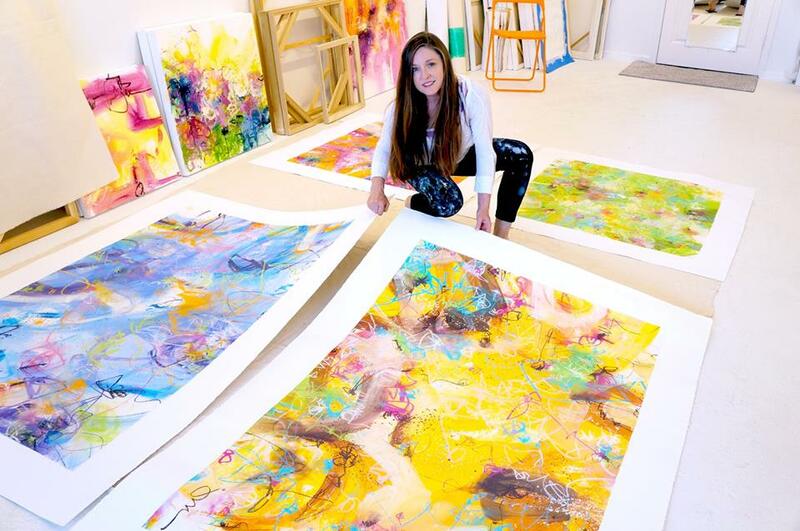 Her entrepreneurial spirit translated well when the big day came -- she transformed her career into what would be a life-long endeavor as a professional artist. For most of her professional art career, Jill’s medium of choice has been oils on canvas, and during 2017-2018, she has rediscovered her love of paper and drawing, so there is a new direction emerging which use oil washes and chalk pastels on paper. Jill’s work is completely faith-centric and — as she strives to share her internal sight and understanding with others — it really all comes down to creating life, being renewed and lifting up. Jill’s work is held in private collections nationally. Full-service design studio. Editorial writing, interactive media, web, print, branding, illustration and specialty. Provision of consultation, creative direction, concept, design, production and management of vendors, budget and timelines.